While pet vaccinations, regular veterinarian check-ups, proper exercise, and balanced diets are all ways to help keep our furry companions healthy, there are a number of ways that animals can get sick. Even though many of these problems are temporary, they can be hard for pet owners to manage—especially since animals aren’t necessarily vocal about how they feel. Fortunately, if you keep the following do’s and don’ts in mind, you can take the proper steps to help your four-legged friend recover. Whether your pet is suffering from a respiratory virus or digestive distress, rest will play a significant role in healing. Give them a comfy place to lie down away from any other noises and distractions. Discourage any excessive activity until it’s clear they’ve recovered. Keep the water dish full. 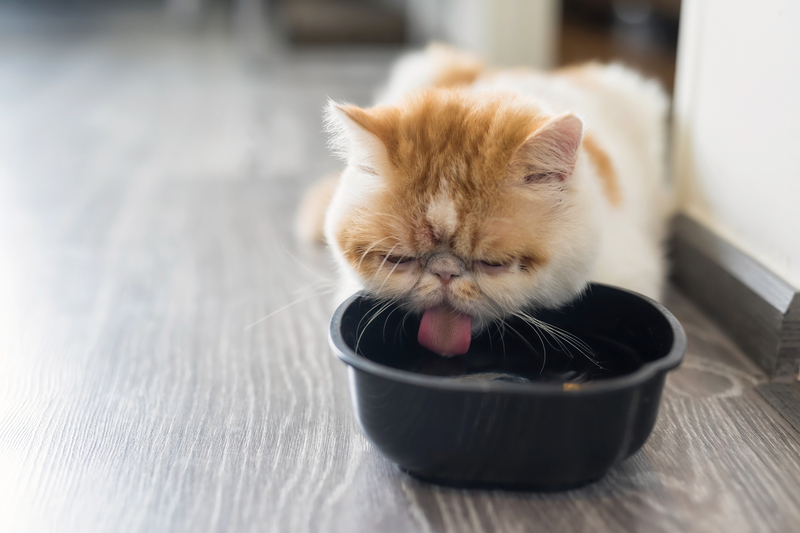 Being sick will often dehydrate a pet—especially if they are vomiting or having diarrhea. To ensure they have enough fluids, make sure your animal’s water dish is kept full and fresh. Pay attention to the nature of your pet’s bathroom breaks. If there is blood, discoloration, or another unusual quality to their waste, their condition may be growing worse. In these cases, contact a veterinarian as soon as possible. If your pet’s symptoms appear to be getting progressively worse or do not ease up, they may be dealing with more than a minor illness. By making a call to a veterinarian for emergency care, you can get an accurate diagnosis and start beneficial treatment early on, if necessary. If your veterinarian prescribes any medications, follow all the instructions exactly. Skipping a dose or forgetting to complete the entire course may prevent your pet from healing completely. Rush back into regular meals. Animals with digestive problems usually have to ease back into their regular routine as they recover. If your veterinarian has prescribed a restricted diet, make sure you know when and how to reintroduce foods that may be upsetting to your pet’s stomach. Parkview Animal Hospital offers comprehensive veterinary care to diagnose, treat, and prevent medical problems. Always putting the client first, this Lincoln, NE, veterinarian offers extended hours, state-of-the-art medical resources, and convenient walk-in appointments. In the event of an emergency, this clinic is also equipped to perform pet surgery. To learn more about their compassionate services, visit this animal hospital online or call (402) 423-6939.